PINK HEAD is Hello Kitty re-styled by TARINA TARANTINO. 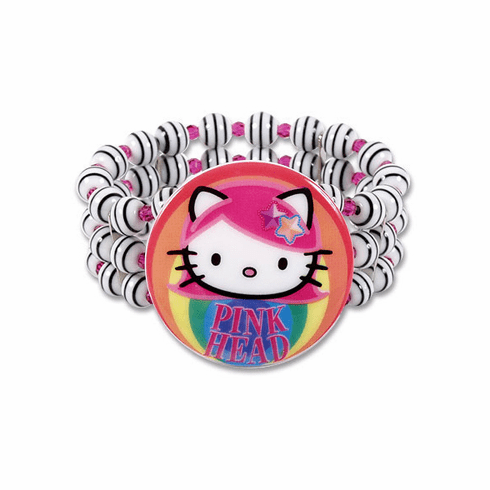 Limited Edition, Black and white stripe 3 row perspex and crystal PINK HEAD stretch cuff bracelet with 1 3/4" Pink Head rainbow slide. A must have for the Pink Head collector. Packaged in a pink organza bag with a Limited Edition card.